You need more information about our products or company? You have specific requirements for a special application? NanoWorld guarantees for fast information at any time. You can reach Neuchâtel easily by car or train or from the international airports of Zürich and Geneva. Feel free to call us if you need assistance. 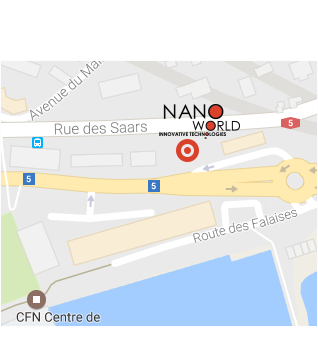 We will help you to organize a flight and train connection to Neuchâtel and provide you a shuttle from the station to the NanoWorld Building. via airplane to International Airports Zürich or Geneva.